Whether your deck is new or old, the truth remains that there are some great deck accessories that you may want to consider adding to get the most out of your deck and to best protect it so that it will be in great shape for a long time to come. If you are considering having a deck built on your property in the near future, turn to Deck Craft, one of the top deck companies in Chester County PA, so get in touch with us. One of the most popular types of deck accessories out there these days is deck lighting. This is a great way to add an ambient glow to your deck at night and to enjoy it well into later hours, rather than having to light candles or head inside when the sun goes down. For those who are concerned about electricity costs, there is always the option of having solar lighting caps installed on the posts of your deck. To ensure adequate lighting on the steps of your deck and to avoid the possibility of a trip and fall accident, step lighting is also available. We can customize any lighting package to suit your needs. Another popular type of deck accessory that you may want to consider adding to your deck is that of a fire pit. These are a great way to enjoy being out on your deck, even during cooler nights of the year. Not to mention, what beats gathering friends, family, and neighbors around a fire, telling stories, and roasting marshmallows? Of course, there are plenty of other functional and decorative accessories that you may want to consider for your deck like storage benches, flower boxes, lattice work, etc. The key is to find them for the best price through deck builders, such as the reputable Deck Craft company. We specialize not only in construction of high quality and beautiful decks, but in offering the best prices on accessories for your deck as well. 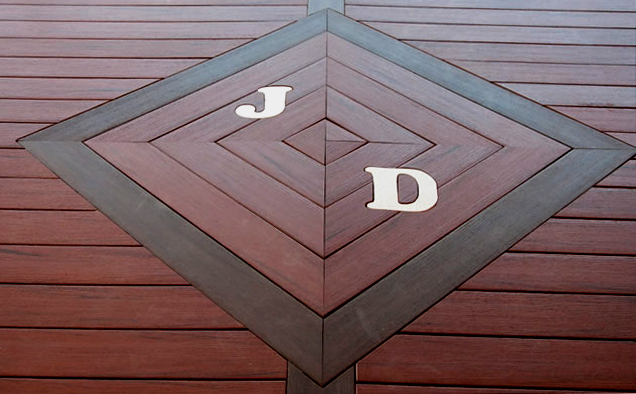 You can find out more by browsing their photos of deck accessories as well.